A notorious female armed robber was reportedly caught yesterday in Port Harcourt, while chilling on the bed of one of her victims. "see thief o! My friend just sent me this video, happened yesterday in Port harcourt ... 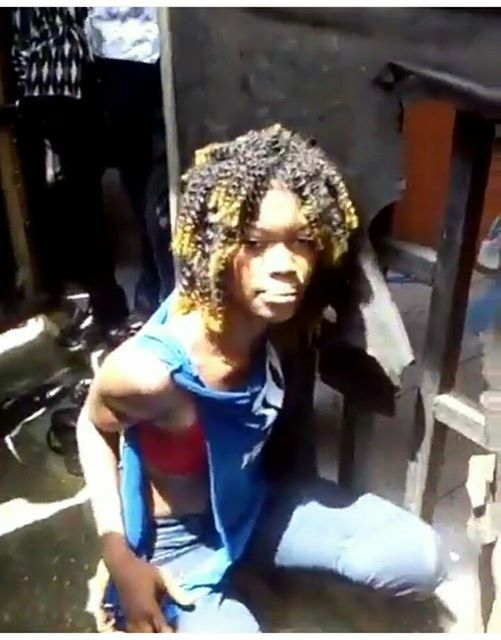 This girl and her female gang robbed an area, while one of the girls went to drop the first set of things they stole, this particular girl broke into a woman's house,,, unluckily for her the woman came bk and found her door open and this thief was busy cooling off on her bed ..."